If I were to offer you $10 today or $100 next year, which would you choose? The decision-making process you’re going through now is what psychologists call Delayed Gratification, and in layman’s terms ‒ patience. Would you want a smaller reward as soon as possible or a better reward later? When you look at smartphones, the top apps perform wonders that are commonly thought of as a good thing ‒ they don’t make you wait. Airbnb, Postmates, Bumble, Slack, and Venmo all accelerate gratification. Tech is conditioning us to want things now instead of later. And the longer we have to wait, the more we’re going to be fed up (and eventually delete the app). 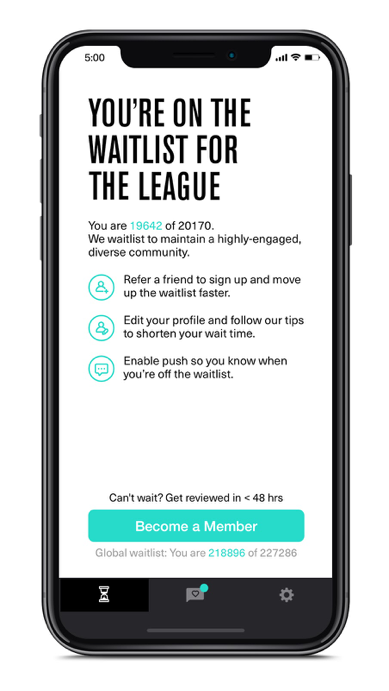 An app that makes you stretch your patience skills, but hits you with instant gratification as soon as you become a member, is The League. 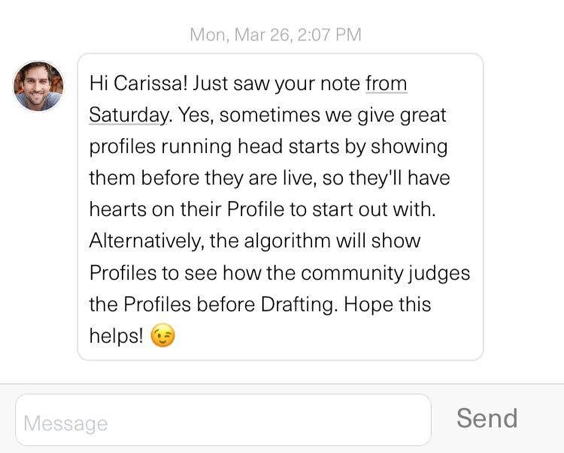 For those who aren’t familiar with The League, it’s essentially the Harvard of dating apps. The somewhat elitist app is only available in select cities to select niche, educated professionals with a beefy LinkedIn profile to prove it. When you sign up, you get added to a massive waitlist comprised of tens and thousands of users. The League puts this process in place to manually review each profile and maintain a high standard. But it’s also there to create anticipation. If you want to boast to your friends that you “made it” on The League, you’ll delay gratification to grab that status. According to a review, one user waited two years before he finally got accepted. Do you remember the first time you used Uber? All you did was sign up, set a pick up location & destination, and bam, a car was in front of your face in five minutes. The best apps serve one purpose. Figure out what yours is and make it happen as soon as possible.